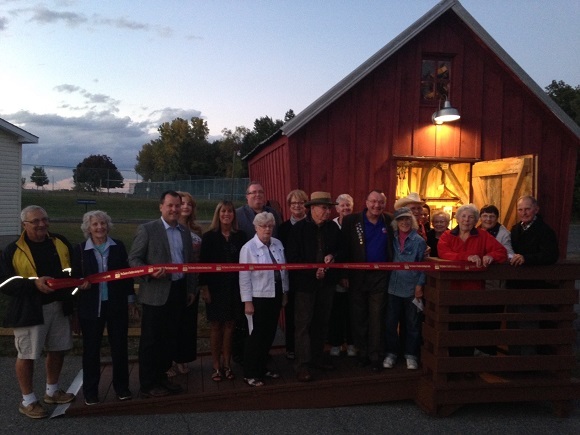 A ribbon cutting was held for the Historical Society of the Town of Halfmoon to unveil the Tool Shed on Sep 27, 2016. This shed displays the various tools that were used in our agricultural community. Included in the picture is: Kevin Tollisen, Town Supervisor, Craig Hayner, Saratoga County Clerk, Daphne Jordan, Councilwoman, Pete Bardunias, President/CEO, The Chamber of Southern Saratoga County. Ken DeCerce, Former Town Supervisor, along with members of the Halfmoon Historical Society, family and friends.